You may be in a home that currently does not quite meet your needs but are unsure if you should remodel the home to make it fit your needs or instead sell the home and buying something else that will fit your needs. Remodeling a home to fit your needs can be a long and costly process that disrupts your day to day routine. Purchasing a new home on the other hand will require you to prepare your existing home for sale and then after purchasing a new home there is the required move aspect. Additionally while buying a new home may get you closer to what you need your home to do for you it may not be possible to find a home that meets all of your needs at the price you want to pay. 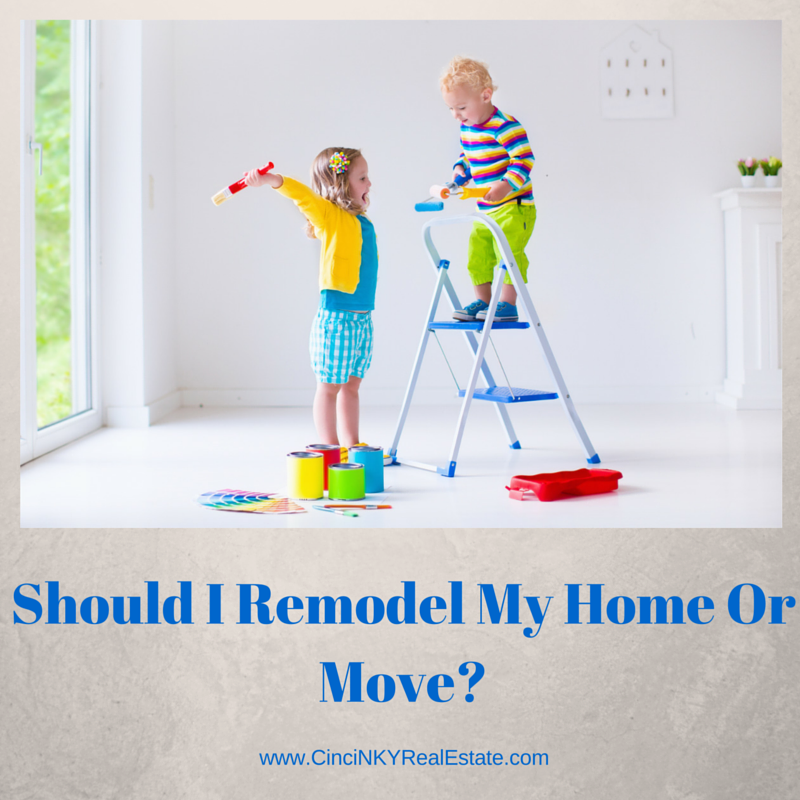 So there are many decisions/options you need to look at to see whether you should remodel or move. The decision to remodel your home is not one to be taken lightly as depending on the extent of the remodeling needed the cost and time to do that remodel can be great. Additionally you will need to look at the pricing of the neighborhood homes where your home is located to see if you will be able to recover any additional investment you put into your home. A home whose price is around $250,000.00 in a neighborhood where most homes average around $200,000 to $215,000 will not be able to recover much if any additional remodeling investment since other homes in the neighborhood are priced lower thus making it very unlikely people will pay more than $250,000 for anything in that neighborhood. Now if on the other hand your home is priced at $300,000 and the homes in the neighborhood can sell from $300,000 to $400,000 then your remodeling plan makes more sense and you “should” realize a higher home value after the remodeling is done. The reason that you “should” be able to realize a higher home value is dependent on the nature of the remodeling you have done. Adding extra popular features like bedrooms, bathrooms, sunrooms, finishing the basement are in high demand by buyers and they will pay extra for those added features that you provide in your home. Adding features like a pool in an area where due to the weather you can only use it 2-3 months out of the year and you will not be able to recover the value of that pool and may be forced to sell your home for less to find the right person to buy the home. Remodeling work where you take away high demand features like bedrooms or garage space to add in a feature like a home theater, sauna, or hot tub may cost you as well since buyers like their bedrooms and garage space. The remodel as well should complement the look of the house. Adding on a Spanish style addition because it looks great in pictures to a traditional Victorian home can be a turn off in buyer’s minds. Stick with remodel extensions/additions that match the existing look of your home. 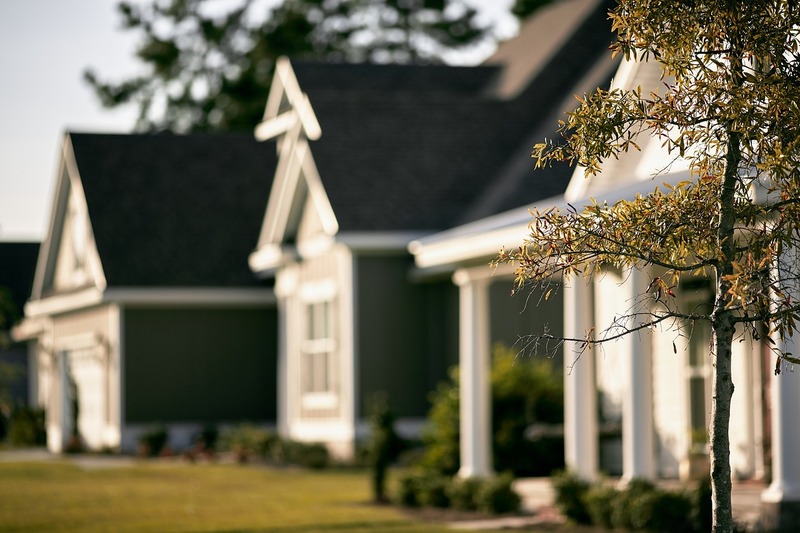 If the yard for your home is already small, a large home addition may end up taking away yard space that some buyers consider a great feature thus making that addition less appealing. To make sure your remodel makes financial sense you should have one or more home remodeling contractors tour your home and provide you with an estimate of the work you are looking to have done. 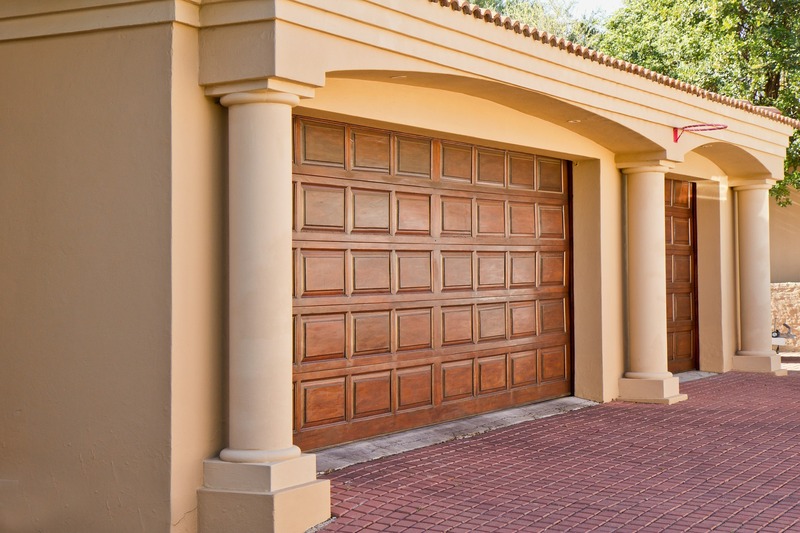 While any home can be remodeled in almost any way, the issue of cost can cause the decision to instead be one of buying a new home rather than remodeling. Remodeling jobs like adding a bathroom on the side of a house where plumbing is not run is a higher cost job as opposed to adding a shower to an existing bathroom. A professional contractor will help you determine what can be done at reasonable cost and what may be too large for your budget. If the remodeling work will provide a good return on your investment and will not be overly disruptive while you live in the home then you should be fine remodeling your home to make it fit your needs. You will save some money and time as well by not having to stage, declutter and depersonalize your home in order to get it ready for sale. Additionally there will be no expenses associated with moving to a new house which in and of itself can be quite hectic and costly. If the remodeling work on your home will not provide a proper return on investment or the costs are too high for your budget, you will be better off preparing your home for sale and buying something that better suits your needs. While there will be the expense associated with preparing the home for sale and the actual move, getting into a home that meets your needs is an ultimate goal. Once you are ready to begin the home purchasing process start by writing down a list of must have features that you need for your home and use that list as your primary checklist for viewing homes. You can also prioritize the needs on your list and rank them in order of necessity. For instance if a first floor master bedroom and bathroom are needed due to physical needs you should place any home with that design at the top of your list. On the other hand if something on your list is something that would be nice to have then a home without that feature may be one to consider. While the home you consider does not have that nice to have feature that does not mean you can’t add it later. Prior to buying that home you should follow the same thought process of determining if a remodel makes financial sense and will you be able to recover some of what you invest later on when you sell. If remodeling is in the future for your new home since you cannot find a home that suits your needs then be sure to let your Realtor know the primary reason you are looking for a new home. Also while the features you may need cannot be found that does not mean the right house in the right neighborhood cannot have those features added and get you a good return on investment as well. As part of the home shopping process you should keep your home remodeling contractor in the loop as well. Depending on the feature you need certain homes may or may not be a good fit for that remodel. Your home remodeling contractor can let you know how easy or not easy the task can be and that in turn will let you know whether a home is worth your consideration. If a home remodel will not work for you and you are unable to find a home with the features that are needed for you and your family you may want to consider purchasing a new construction home. With a new construction home you can sit down with an architect and/or builder and discuss what specifically you need in your next home. Many times builders have existing plans for homes that they can build from. They may be able to slightly customize those home plans for your needs if the changes are minor. If the changes are major then the builder will need to have an architect involved so that plans are drawn up to exact specifications needed. Large changes from existing plans or very unique and custom features will cost more money to have built. You should also be careful about making your home too customized that you reduce the future pool of potential buyers. Most buyers prefer the common features found in many homes today, if your home design is extremely unique the challenge of finding a buyer in the future may be an issue. Ultimately the best way to determine if you should remodel or move is to see if you will be able to get a good return on your remodeling investment. By having a home remodeling contractor give you an opinion on cost and feasibility of a remodel project you can better tell if it makes financial sense. If you decide you are better off moving then be on the lookout for the features you need your home to have or consider a home that can be remodeled to meet your needs and also protect some of your investment. About the author: The above article “Should I Remodel My Home Or Move” was provided by Paul Sian. Paul can be reached at paul.sian@herrealtors.com or by phone at 513-560-8002. With over 10+ years experience, if you’re thinking of selling or buying, I would love to share my marketing knowledge and expertise.